They challenge the evidence base used by the CDC to make recommendation on the use of Oseltamivir and their lack of transparency. 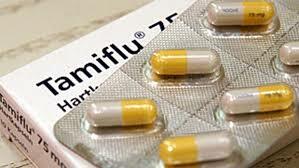 Tamiflu For All? Evidence Of Morbidity In CDC’s Antiviral Guidelines. The Centers for Disease Control and Prevention (CDC) has boiled down its public health campaign against influenza to a single slogan: “Take 3.” Vaccines, everyday preventive actions like handwashing, and influenza antivirals.